French police have carried out searches of the home and offices of former President Nicolas Sarkozy as part of a campaign financing probe. A law firm in which Nicolas Sarkozy owns shares was also searched, reports say. The investigation is related to allegations that Nicolas Sarkozy’s 2007 presidential election campaign received illegal donations from France’s richest woman, Liliane Bettencourt. 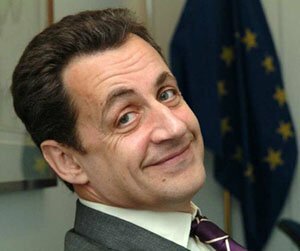 Nicolas Sarkozy has previously denied all wrongdoing. Nicolas Sarkozy is currently in Canada with his family, his lawyer Thierry Herzog told the AFP news agency. In presidential elections in May, Nicolas Sarkozy lost to Socialist challenger Francois Hollande, and lost his immunity from prosecution in June. Tens of thousands of euros were allegedly funneled to Nicolas Sarkozy’s campaign by Liliane Bettencourt’s office. Individual campaign contributions in France are limited to 4,600 euros ($5,800).